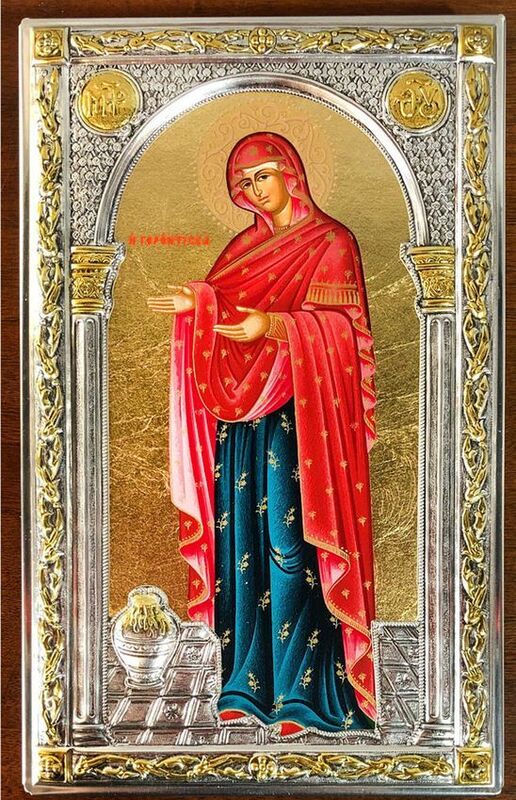 The Holy and Miraculous Icon of the Panagia Gerontissa is found in the Pantokrator Holy Monastery on Mount Athos and is the only traditional icon depicting her full-bodied and alone. The December 2 Feast Day of the Gerontissa Icon of the Mother of God commemorates a miracle which occurred on the night of December 1, 1948 when the Theotokos saved the Pantokrator Monastery from a fire. Because of this event, the Icon also came to be known as the "Pyrosoteira" ("Rescuer from fire").